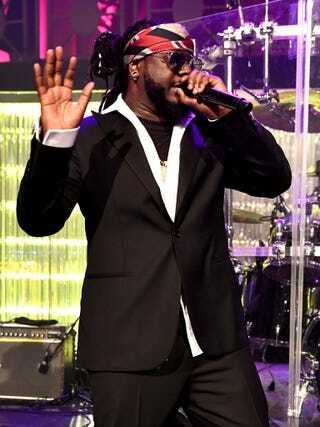 T-Pain Outchea Singin' Without Auto-Tune And Sounding Good! Who knew T-Pain could actually sing? I'm sure of you did. But some of us didn't. Either way, I already enjoying people singing ignorant things, but there's a special enjoyment given that this is T-Pain, a man for whom the industry that now THRIVES on auto-tune seems to have left him behind. By the way, I agree with him, intimate settings where booty tunes get sung is weird as hell and feels odd even watching. It's like Masterpiece Theatre reading a Zane novel.